Be On the Lookout! is a feature highlighting magnificent books that I’m trying to convince people to preorder, add to their TBR, or just be on the lookout for. It’s mainly a way for me to fangirl about the merits of a book outside a review, and hopefully make more readers aware of books that are not to be missed! 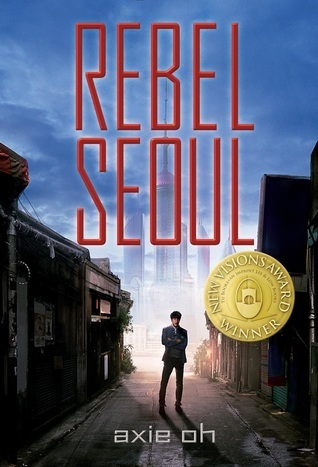 I’m really happy to be here for a shout out of an awesome #OwnVoices book for Korean representation: Rebel Seoul by Axie Oh! It’s action-packed from beginning to end, with amazing characters that you’ll just grow to love and awesome robots that are both daunting as they are amazing. I literally can’t shout enough of my love for this book to the sky! Pacific Rim + Kdramas = Rebel Soul, which comes out September 15, 2017. BONUS: If you preorder the book, you get a postcard (with REALLY REALLY COOL art of the characters) and get entered in a giveaway for character-themed packages! Trust me, these packages are super cool. Face masks, Gundam suits (omg), and all sorts of awesome tidbits that the author got from Korea. Find the details on the Axie’s website here! Why Should You Be On The Lookout? So I talked about the romances in this book, but the BROMANCES? Legendary. I absolutely adored the relationships that Jaewon makes in this book, whether it’s the hesitant development of a mutually beneficial friendship with Alex, or the tough love he shares with his childhood best friend, Young. There’s such a beautiful exploration of family and camaraderie between all these characters, making my heart burst with love for everyone. There’s just something about a friendship that could be seen as family that makes me want to tear. Jaewon and the sacrifices his friends and him make for the benefit of the other was just amazing to see: their love, their support, and their hopes. I really can’t express my love for all these characters enough. In fact, I love them so much I drew them here. YOU’RE GONNA LOVE THESE CHARACTERS! I’m honestly ruined for science fiction stories taking place in the future because of such well-written settings such as in Rebel Seoul. Like, seriously. I’ve read two other science fictions with futuristic settings after this one and they were absolutely incomparable. There is clear reasoning behind the conflict of the war happening in the Neo Alliance, and the ideology between the opposing sides is absolutely justified. The politics of the world are easy to catch up on, as Jaewon finds himself more and more entangled in it. I love that he’s conflicted about it, and that both sides have worthy goals that he can connect with. Oh paints a world of a gradient gray instead of the clear-cut black-and-white that most post-apocalyptic and sci-fi YA stories like to instill. This makes not only the characters dimensional, but the setting as well. Axie Oh is a first generation Korean American, born in NYC and raised in New Jersey. 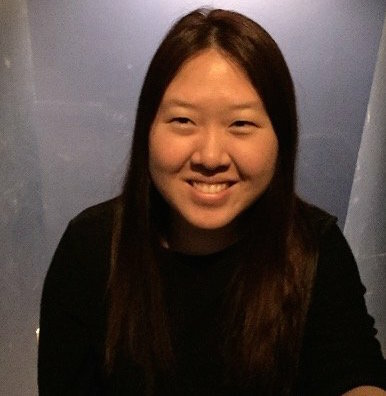 She studied Korean history and creative writing as an undergrad at the University of California – San Diego and is currently pursuing an MFA at Lesley University in Writing for Young People. Her passions include K-pop, anime, stationery supplies, and milk tea. She currently resides in Las Vegas, Nevada with her puppy, Toro. Full cover art – this will look absolutely gorgeous on your shelves! Have I convinced you to add this book to your TBR yet? Are you ready to feast your eyes on glorious character development and action? What did you think of this book, if you’ve already read it? I’ve been so excited to read this. I was able to snag a copy and I’m hoping to read it really soon. It sounds totally amazing, but I’m especially here for the romances. Both sound amazing and I already have shippy feels! But also yes, robots! You don’t see a lot of them in YA which I think is weird since they are so popular in movies. Yess Nick, I’m so happy you can pick this one up! I really hope you love it omg. THE ROBOTS WERE AWESOME and as a sci-fi it was just ugh too good. I can’t wait to read this book! I hope other people decide to read it, too , because this book just sounds even more amazing with all of the things you listed. I hope so too! 😀 Enjoy if you get the chance to pick it up. KDRAMA LOVERS WILL LOVE THIS ONE PLEASE. Thank you so much Savannah! ❤ I really hope this one is a hit with you when you get the chance to pick this one up.